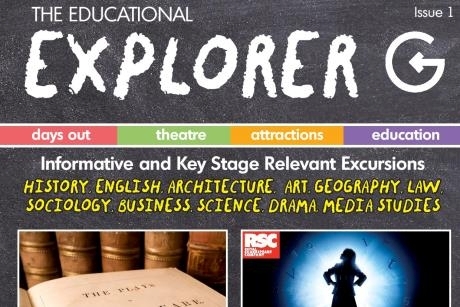 Group experience company, Groups Direct, has created a learning outside the classroom resource for schools titled The Educational Explorer. Aimed at education professionals, the publication provides inspiration for educational day excursions and tours for all Key Stages. These new Groups Direct educational experiences have been designed to work within National Curriculum guidelines, with subjects such as English, Drama, Geography, History, Science, Politics and Law being covered. The Educational Explorer indicates which Key Stages are relevant to each tour or experience, plus gives a brief description of the excursions on offer. School travel organisers and teachers will find ideas covering topics like the 200th anniversary of Jane Austen’s death, the life of William Shakespeare, and the locations that feature in the Harry Potter books and films. • The new Harry Potter location tour in London. Tours range in price per pupil for a group a 30 or more. Note that this price does not include transport. Groups Direct can also create bespoke tours suiting teachers’ requirements. In addition to the new Educational Explorer trips, Groups Direct also offers access to school group pricing for many West End theatre shows. Examples include Aladdin, Mamma Mia!, and Disney’s The Lion King. Teachers can contact Groups Direct for more information or to make a booking by e-mailing reservations@groupsdirect.co.uk. For further information visit www.groupsdirect.co.uk.